Your child’s first dental experiences can affect his or her feelings about dentistry for the rest of their life. It’s essential for children to have only positive, fun visits, in a safe space where they immediately feel welcome and at home. 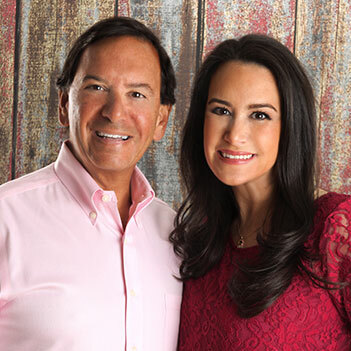 Dr. Gary Kramer and Dr. Sara Bunin have created that safe environment: a pediatric dental office where children are cared for with respect, compassion, and love. We’re board-certified and highly educated professionals, but we’re also warm and personable. Each patient is treated the way we’d treat a member of our family, from the moment you set foot in our office. Along with our amazing team, we’re committed to ensuring children enjoy their visits and look forward to coming back. Our goal is to have all children achieve optimal oral health and the knowledge and passion to keep their smiles healthy and beautiful for life! We have a wonderful two-story play house that kids love to explore, whether they’re playing in the kitchen or curling up with a beloved book. We also offer many arcade and video games along with tons of age-appropriate movies: many times, patients don’t want to go home! We welcome and encourage parents to be with their child throughout the visit. It’s essential for everyone to understand what’s happening and that we’re able to form a team between the child, parent, doctors, and our staff. Together, we help children learn how to care for their smile, teach them about nutrition, and encourage them to develop healthy habits that last a lifetime! We believe every child deserves leading-edge dental care, through the use of advanced techniques and technology, with treatment tailored to the child’s unique physical and developmental needs. We’re highly responsive to a child’s comfort and always listen to, respond, and encourage questions. Starting with their first visit, you and your child will sit and talk with the doctor. We’ll engage with your son or daughter, ask about their life and interests, and begin to forge a bond of trust. By the time we’re ready to move into the treatment room, most patients are completely relaxed and excited to see what happens next! At each visit, we’ll clearly explain what will happen, using “Tell-Show-Do”: by talking with the child, showing him or her the tools we use, and then proceeding gradually, we help everyone relax and feel comfortable. 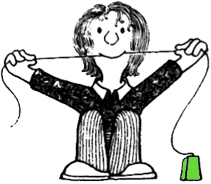 Please contact our Burke, VA pediatric dental office to learn more and schedule a visit. We offer Saturday and evening appointments and are always available for pediatric dental emergencies. Dr. Kramer, Dr. Bunin, and our team truly love Helping Little Smiles Grow Up to be Big, Healthy Smiles! Schedule a visit and see for yourself!